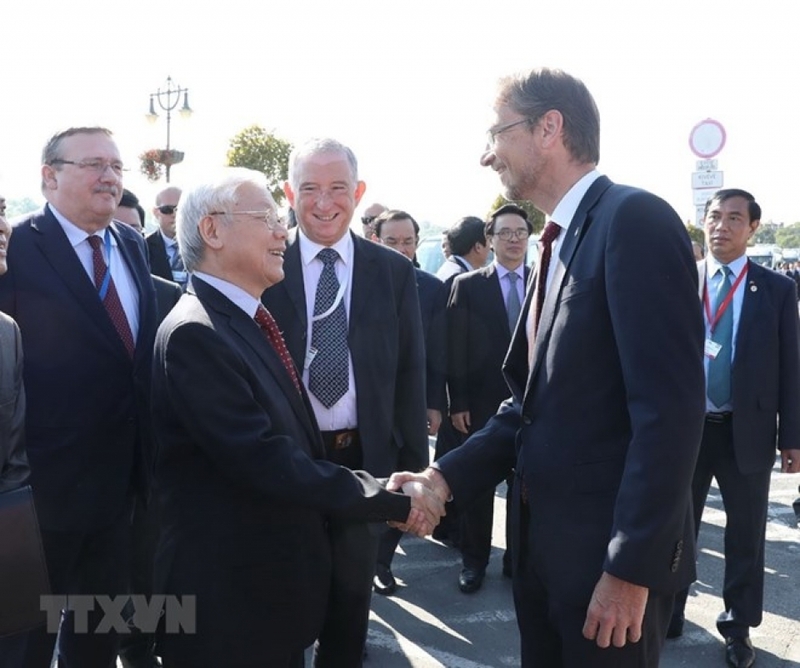 General Secretary of the Communist Party of Vietnam Central Committee Nguyen Phu Trong and his entourage on September 9 visited Szentendre - an ancient city lying on the bank of Danube River in Pest County, about 20km from Budapest capital city of Hungary. General Secretary of the Communist Party of Vietnam Central Committee Nguyen Phu Trong shakes hands with Mayor of Szentendre city Verseghi-Nagy Miklos. Sharing experience in preservation of heritages and tourism development as well as cultural and art exchanges will make significant contributions to consolidating and developing the Vietnam-Hungary traditional friendship.